Fancy having your very own personal supercomputer? 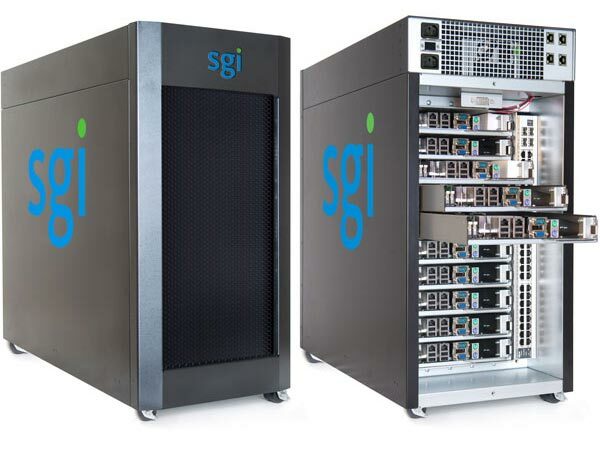 SGI has launched the Octane III personal supercomputer. The SGI Octane III is about the same size as a standard workstation PC, and it can handle up to 8- CPU cores, with up to 1TB of RAM, and up to 10 2.5 inch SATA II hard drives. If you want one prices start at $7995 for the base model, I wonder how much the top model is with all the options, it looks like a serious peice of kit.